The Striated Bristletooth (Ctenochaetus striatus) is also known as the Lined Bristletooth or Striped Bristletooth. Being members of the Acanthuridae family, also known as Surgeonfishes they have a retractable razor sharp spine on either side of the caudal area. These are used for defense and possibly in territorial disputes and can inflict significant damage. The Striped Bristletooth Bristletooth is in the sub family Acanthurinae whose members have large numbers of bristle like teeth, which are used for scraping organic matter off the surface of the reef and for sifting sand. These can be seen in the image below. 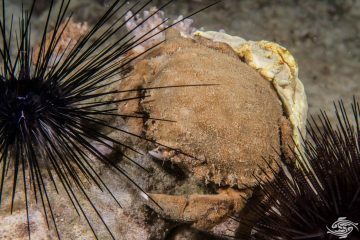 The Striated Bristletooth has a predominantly chocolate brown body with thin blue horizontal lines across it. In the forehead there are orange dots and there is a thin yellow ring around the eye. For protection the eyes are set high on the head away from mouth. The rays of the pectoral fins are a yellowish colour and the area around the pectoral fins has reticulate patterns rather than horizontal lines. There are no obvious differences between the sexes but the males become more vibrantly colored during mating. They grow up to 26 cm in length but around 18cm is more common in the wild. In Tanzania, the Striated Bristletooth is relatively common on rubble areas with rich algal growth. They are seen singly and in groups, often with other members of the subfamily. 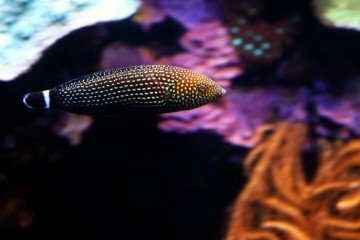 They are fairly skittish fish and are quite fast moving when there is a diver around. It is difficult to het close to them. The Striated Bristletooth is mainly found on rubble areas. 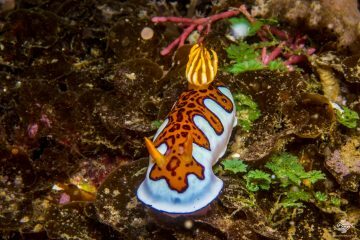 They are found across the Indo-Pacific Ocean from South and East Africa , north to Southern Japan and South to the Elizabeth and Middleton Reefs Marine National Park Reserve to the south east of mainland Australia. 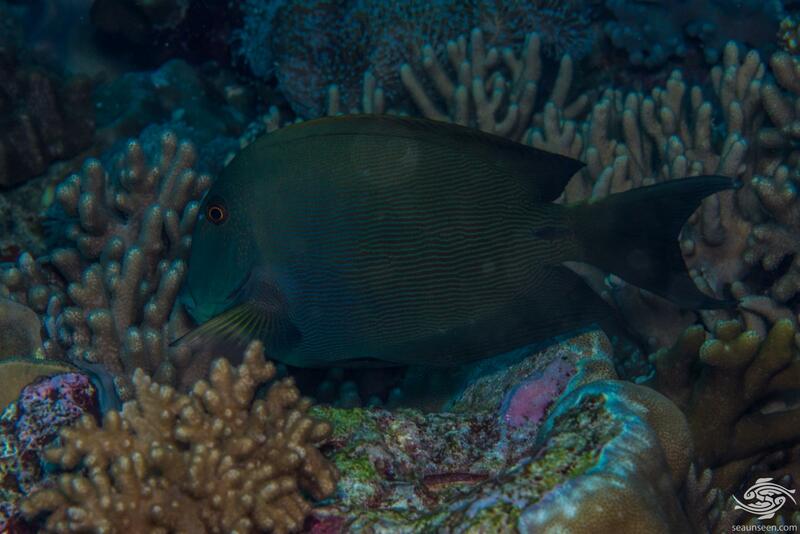 They are most common around the 12 to 15 meter range but can often be seen on shallow reefs at around 3 to 5 meters. 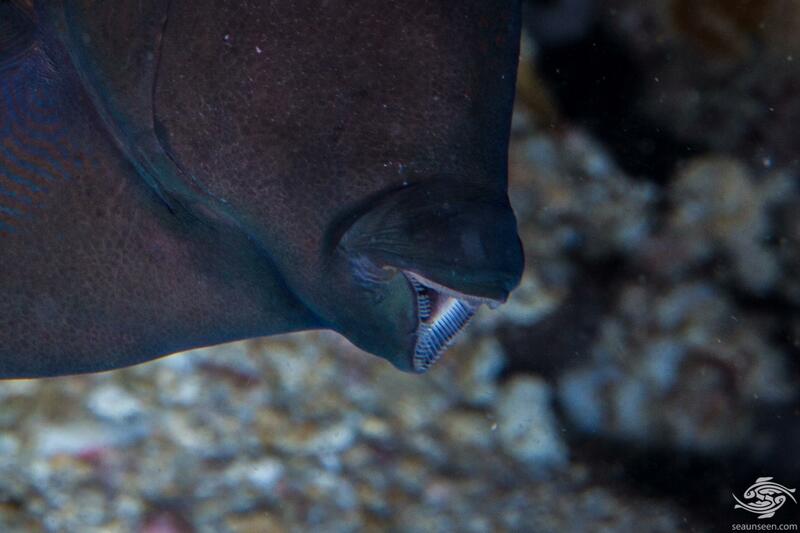 The Striated Bristletooth use their bristle like teeth to scrape nutrients off the reef and off sand. 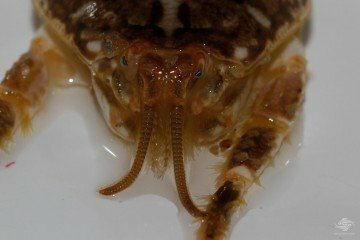 They also use their teeth to sift out the nutrients which are then sucked into the stomach. Their natural diet is composed of algae, detritus as well as organic matter including dinoflagellates, diatoms and other small organisms. 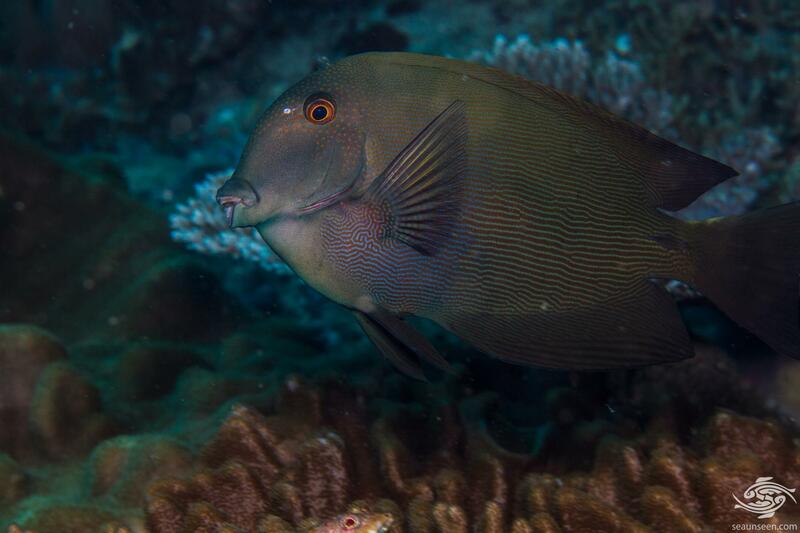 Striated Bristletooth are known to group spawn in Tahiti . Other than that little seems known of their mating habits and we have never seen them spawning. 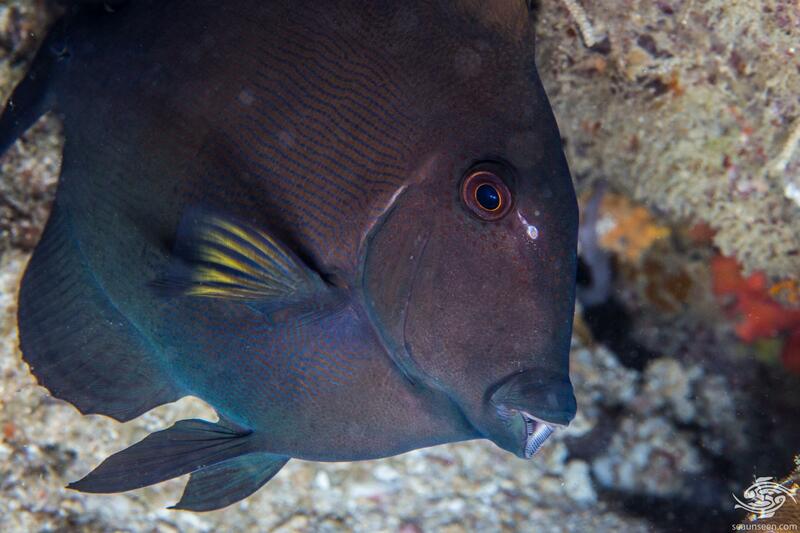 Striated Bristletooth are not commonly kept in aquariums although their close relative Ctenochaetus strigosus which are seen as being more attractive visually is commonly kept. 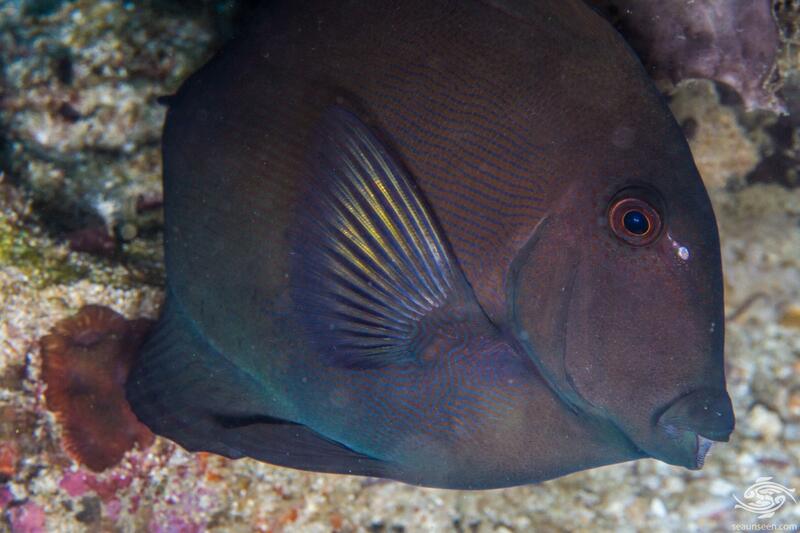 They are fairly placid fish and could be bullied by more aggressive species. Given that the bulk of their natural diet is scraped off rocks or sand, to be fair to the fish one would require quite a large tank to provide sufficient food for an adult. A full grown fish requires a large grazing area and because of this careful thought should be given before placing one in your tank. They require a lot of live rock and preferably live sand. 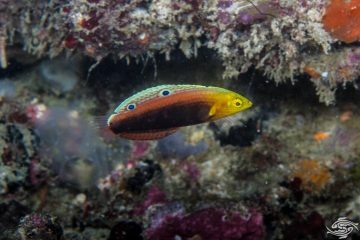 Striped Bristletooth are not commonly caught by fishermen in Tanzania due to their feeding habits but are sometimes taken in fishtraps baited with algae. They are exploited as a food source in some areas particularly in the Cook Islands.